Payment processing companies make it easier for businesses to accept payments from customers using a POS. These companies are capable of handling payments from credit and debt cards. By hiring a payment processing company, you can make more payment options available. This will invariably lead to increased sales volumes, giving revenue generation a boost. With so many companies available, selecting any one requires careful consideration. In this post, the top payment processing companies have been listed for your business needs. Stripe is one of the top online and mobile credit card processing companies. They make it easy to accept online payments right away in your online store. You do not need a merchant account to use their services. The Stripe API makes it possible to program the tool into your existing online checkout system. If you can only consider mobile and online credit card processing companies in your search for payment solutions, consider Stripe. A well-known ISO/MSP of iPayment, Flagship Merchant Service makes payment processing convenient for businesses of all sizes. Its wide range of credit processing solutions and proprietary technology include online, mobile and in-person payments. Additionally, you will get value added services like free merchant account set up, online sales tracking and month to month agreements. Surely, flexible pricing options and excellent customer support makes this payment processing company stand out. 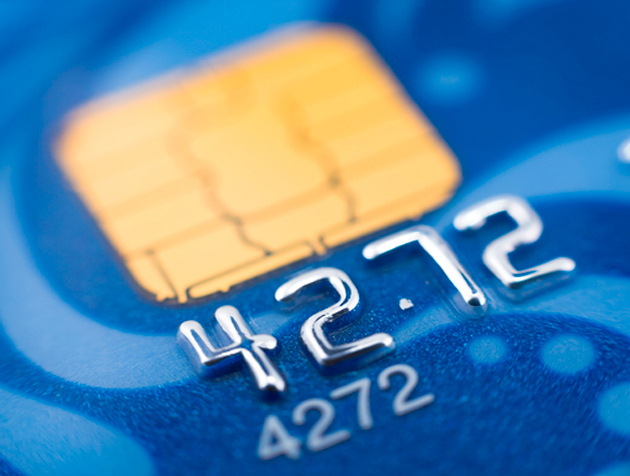 Credit Card Processing Specialists is known for offering superior full service processing using the best equipment. It tailors merchant accounts to meet clients’ specific business needs. Additional features like modern credit card processing terminals, Authorize.Net integration and instant online reporting further enhance service quality. Above all, Credit Card Processing Specialists’ 24/7 technical support and in-house risk management makes it a preferred payment processing company. Payment Depot offers mobile, terminal, POS and ecommerce payment processing solutions to businesses across various industries. This company offers a variety of membership plans like basic membership, best value membership, most popular membership and premiere membership. By obtaining the premiere membership for $99 per month, you can take advantage of an unlimited processing volume for all of your POS terminals. On the whole, Payment Depot’s competitive pricing helps businesses save up to 40% per month. Certainly, with great savings, plans and payment capacity, this company stands out to business owners. Another front-running company, Square specializes in offering mobile payment solutions. Since there is no need to open a merchant account, Square’s services are easily accessible whether your business accepts the Malaysia GDP or the American dollar. Its flat 2.75% charge per swipe on Visa, American Express, Master Card and Discover keeps cost in check. What’s more, with the Square Register app, you can process payments offline and track inventory in real time. Most importantly, this payment processor offers customized solutions for different industrial segments. Wherever your business operates, a flexible processing solution like square could work for you. The simple online application and lucrative service terms make Payline Data one of the leading payment processors. In addition to in-store and online solutions, its payment gateway integrates with businesses’ apps. They offer businesses both simple and pro plans based on sales volume per month. Plus, this payment processor provides real time sales reports and integrated email marketing facilities to track your sales goals. All in all, Payline Data’s 24/7 phone support and interchange-plus pricing are great aids in streamlining payment processing. If you only need a low-volume credit card processor, PayPal is an excellent solution, especially if you are looking to use Quickbooks alternatives for your business. This well-known company puts credit card processing within reach for small business thanks to their low-cost offerings. You can use this service for flexible credit card processing of low-volume sales. In addition, you can extend credit, support services and rewards programs to your customers with the additional built-in features. If you can only afford cheap payment processing companies, PayPal does not require you to sacrifice quality for a low price. Although there are many payment processing companies, only a handful offers premium and cost effective services. Even fewer offer POS systems for iPad. While choosing a processor, pay attention to their pricing methods and charges per swipe. The other important selection criteria include mobile integration, level of customization and processing volumes. Then, evaluate available customer support to ensure quick responses. Finally, choose a payment processor that meets the unique needs of your business.